Knowing the meaning of the Sign of the Zodiac, ours and the people around us is essential for understanding ourselves and others. 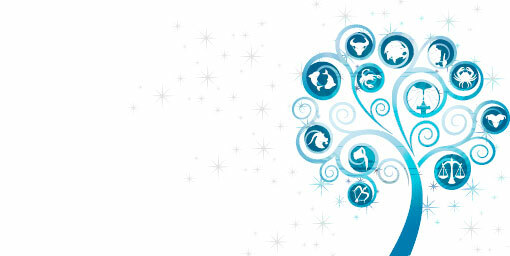 This is the reason to read 12 Signs of the Zodiac provided by our astrologists, just for you! Get to know people depending on their sign of the zodiac, is that what you want? Click here under the sign which attracts you and you will make interesting discoveries which concern you or a sign which whets your curiosity! Desire, creative energy, timidity or communication skills: these are all the various qualities which belong to some signs rather than others. How can you know the 12 Signs of the Zodiac? Just count on us! You must know that the Zodiac is divided into 12 parts: the Signs of the Zodiac. Each sign, which depends on the position of the Sun on any individual's birth date strongly influences one's personality and character and this is why it is essential to gain information and deepen Astrology and the 12 Signs of the Zodiac in general. The fact that the Zodiac is subdivided into 12 parts can be attributed to Babylonian astrology where each part was defined a "sign" as it was represented by a symbol, each with a precise and different characteristic and meaning. Your sign is unique like the 12 Signs of the Zodiac which we offer you here: make the most of our experts to discover what it is necessary to know about each sign of the Zodiac! The sign can be influenced by various factors such as your rising sign, your natural element ( air, water, fire and earth) and the decade. What are you waiting for? 12 Signs of the Zodiac are for you! To go deeply into the world of Astrology and discover other precious information on the 12 Signs of the Zodiac, consult the section devoted to Signs Birthstones: what is your birthstone? Discover it with us!